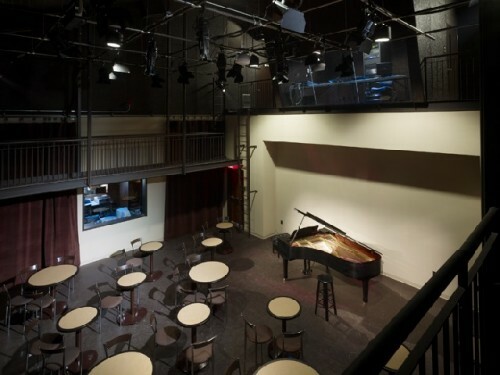 The state of the art Abbey Theatre at the Eagle Hill Cultural Center. Our world is full of folk with great ideas, though they are oft lacking in the skills and opportunities to bring them into fruition. The sequence of events which led to the meeting and collaboration of Sean Hunley and Peter McDonald will have to wait another day for its telling, but meet they did and the result is a gift to all of us twixt Worcester and Northampton. Their brainchild, The Cultural Center At Eagle Hill is ambitious, original and offers a model we fervently wish would be adopted by other communities. While acting as Development Coordinator on urban revitalization initiatives in Lynn, Sean Hunley speculated on how real estate development and a community's cultural ambitions could be combined. At the Harvard Graduate School of Education, he examined the possibilities of an educational setting where students could interact with Artists of all kinds and establish connections with the arts and with their own potentials within the arts. Peter McDonald, headmaster of the Eagle Hill School in Hardwick, MA, was at the same time exploring ideas of how the school could reach out to the community and establish ways for school and populace to participate and reinforce each other's culture. In the sharing of their ideas, The Cultural Center At Eagle Hill was born and is currently in its second year of programming. 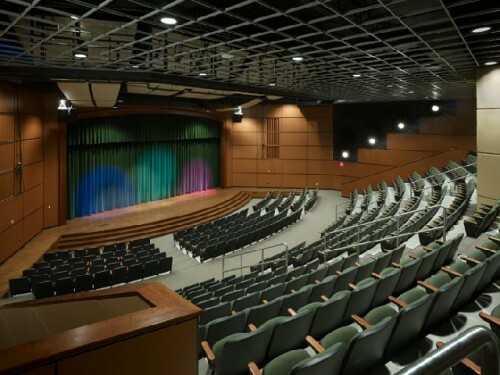 It utilizes the 463 seat, state of the art, Abbey Theatre, and a smaller versatile performing space called the Kresge Studio Theatre as well as other diverse sites suitable for presentations. In the service of brevity, the links posted at the end of and throughout this piece will provide you who are interested with in-depth information. What first drew my attention was the scope and then the success of the performances scheduled. 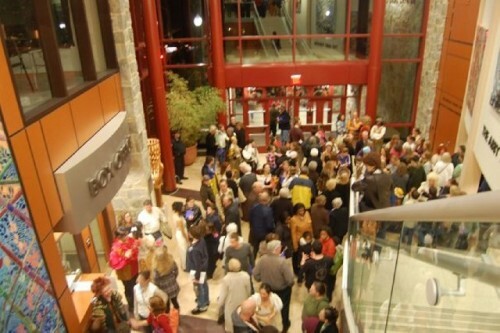 Already this fall, the Center has hosted productions of the off-Broadway sensation, The Rivalry, and Beauty and the Beast, each running several nights with a good many of the performances sold out. Regional folk favorite Livingston Taylor gave a concert in October followed by the Grace Kelly Jazz Quartet in November and Super Celtic group Cherish the Ladies again sold out the house early this month. The Brooks Williams concert in mid January is already sold out. The next few months will see drama, Arsenic And Old Lace, from the Eagle Hill School students, the spectacle of Cirque LeMasque, http://www.cirquelemasque.com/, concerts by Brooks Williams, http://www.myspace.com/redguitarbluemusic, (sold out) Vance Gilbert, http://www.vancegilbert.com/, and School For The Dead, http://www.schoolforthedead.com/, and musical productions, Nunsense and Fiddler On The Roof. When questioned, Sean is quick to list his criteria for selecting an act. 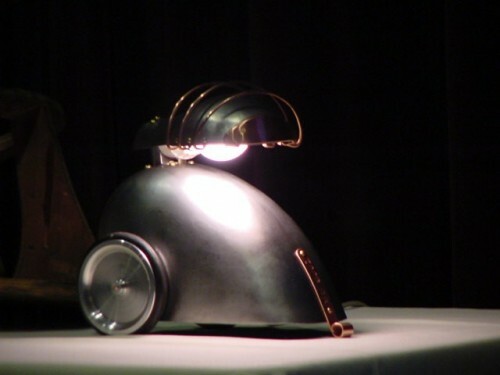 To distil and paraphrase him, the offering must represent artistic quality, be able to establish rapport with and educate the audience, represent experiences otherwise unavailable in our local setting, or provide the Center an opportunity to present regional performers, filmmakers and/or visual artists. Furthermore, all of this is offered at a ticket price well below current market average. On December 9th I had an opportunity to attend one of Pat Bock's Art Teas. One is held each month, attendance to which while free requires you reserve a space. At these cafÃ© style events you can meet and listen to an invited artist discuss their work, share their ideas and relate their stories. Each session begins with a dessert buffet, this time crÃ¨me topped pastries created by Kathey Stone-Johnson, Director of Food Services for the Eagle Hill School and a specialty tea brewed by Chemistry teacher and Tea Master Tom Gaskill who this month presented a smoky full flavored blend from China's An Hui province. And, lest I forget, there are the hour long live performances of Bach sonatas by Peter Sulski and Michelle Graveline, two of which are still ahead, scheduled for Feb 26th and April 9th. Underlying all this and critical to its success is the student involvement. Student internships provide context within which students can realize real-world, real-time responsibility, initiative, collaboration and those interpersonal skills that intersect with and reinforce learning in other areas. 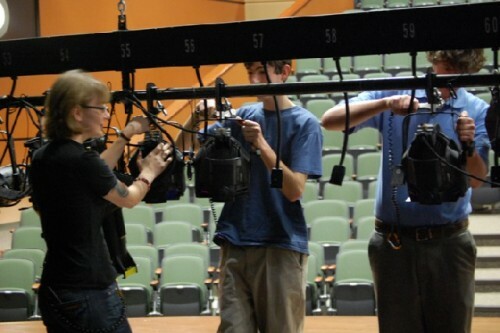 A Technical Theater Internship trains students to manage and run the state-of-the-art theatrical lighting, sound, and rigging systems for the facility's own plays, concerts and other functions as well as for visiting productions. Student interns receive intensive training, then take on responsibilities consulting with performing artists about their technical needs, designing and implementing lighting, sound, rigging, and set, and running the technical functions for each concert and production. 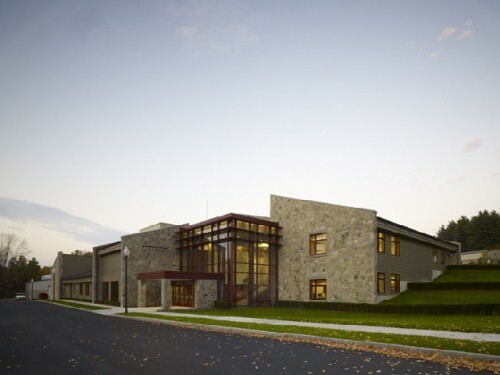 Already drawing from an audience hailing from 213 zip-codes, and selling out performance after performance, The Cultural Center At Eagle Hill gives evidence that rural populations do value and will support the visual and performing arts, even in these tough economic times.